Balloon modelling is an enduring favourite with children. It is a great way to brighten up any event, whether a family-fun day, school fete, charity function or birthday. Bringing colour and festivity to proceedings, it also provides a souvenir of the day. Despite being so popular, nobody knows exactly how balloon modelling came about. Most likely it began in the 1930s, when a vaudeville magician had his props stolen. He then had to use balloons to entertain instead! 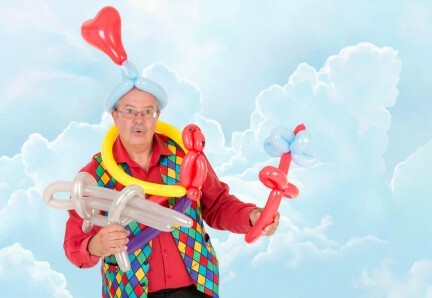 As a multi-talented performer, balloon modelling is one of Magic Bob’s specialities. He twists, pulls and contorts balloons into magical shapes instantly. From monkeys on trees, to flowers, swords, hats and space lasers, children are sure to be mesmerised. Mingling with all the guests, Magic Bob carries a special bag and belt. Children and adults then choose a coloured balloon of their choice, which is then transformed by Bob. Balloon modelling goes perfectly with face painting, and ensures children are always entertained. Give Bob a call today on 07800 905 976. He is keen to make your event a success. Alternatively, complete an online contact form.